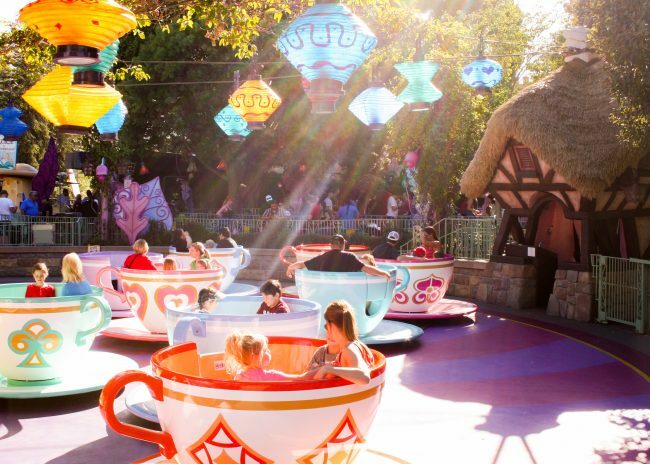 One of our favorite Spring Break destinations is Disneyland. My family is heading to Disneyland as part of our spring break trip (because there is a killer spring ticket deal for Disneyland) and we are excited to get back to the happiest place on earth. Over the years we have learned a lot about spring break at Disneyland. Today I am excited to be sharing what I have learned with you so your spring break at Disneyland can be as magical as possible. 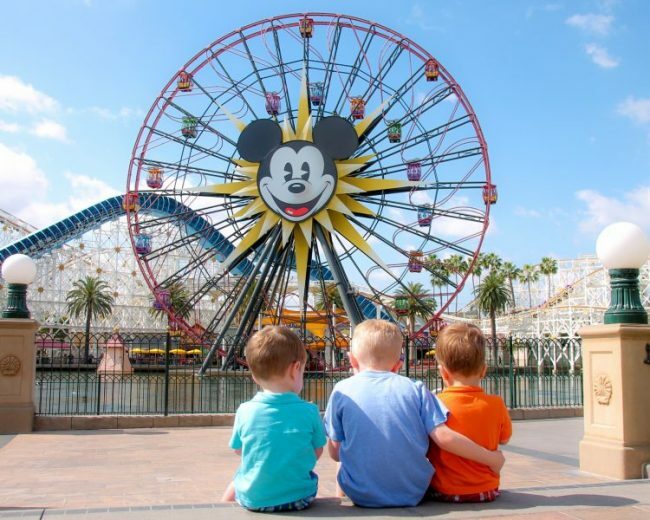 Spring break is a popular time for Disneyland vacations. People dream of escaping the cold weather to sunny southern California, and what better place to do it then at Dinseyland? But how are the crowds? When are most people on spring break? Can you still book a trip? 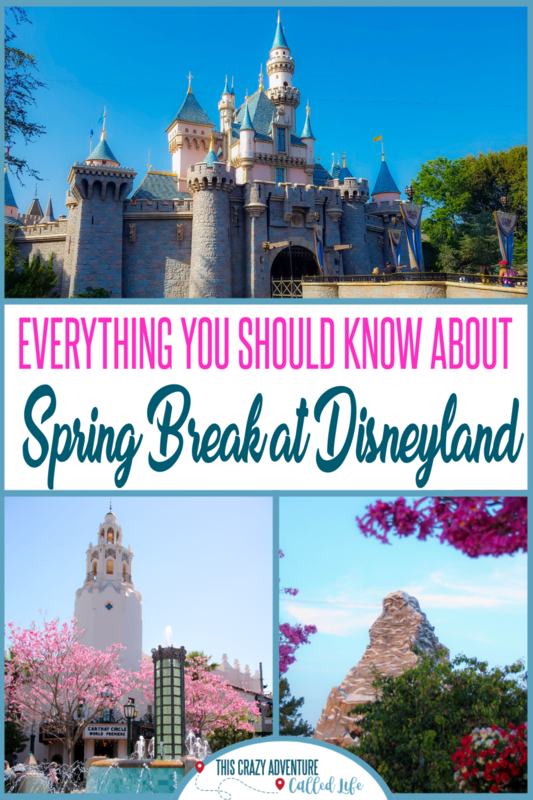 We have the answers for you in this complete guide to Disneyland during spring break. Well, spring break varies by region. Most of the surrounding areas have spring break starting anywhere from mid-March to late April. The majority of Californians seem to have their spring breaks either the week before or after Easter (which is in April this year). I know in Idaho, most schools have their spring break either the last full week in March or the week after. The point is, you can expect spring break crowds at Disneyland starting around March 10 clear through the end of April. What is the best way to manage Spring Break Crowds? Don’t go? Just kidding. I always try and remember a crowded day at Disney is still better than a day at home. Every Disneyland regular has their own way to handle the Disneyland crowds. Our family is big fans of getting there before the park opens, taking a mid-day break, and returning after dinner. Others prefer to just go in the morning and stay until Dinner. We personally find it is nice to miss the hottest, most crowded part of the day. Even trying to avoid the busiest times of day, you will still have to endure crowds. It will be important to prioritize your activities, have a flexible game plan, and utilize Disneyland’s Maxpass or fastpass. 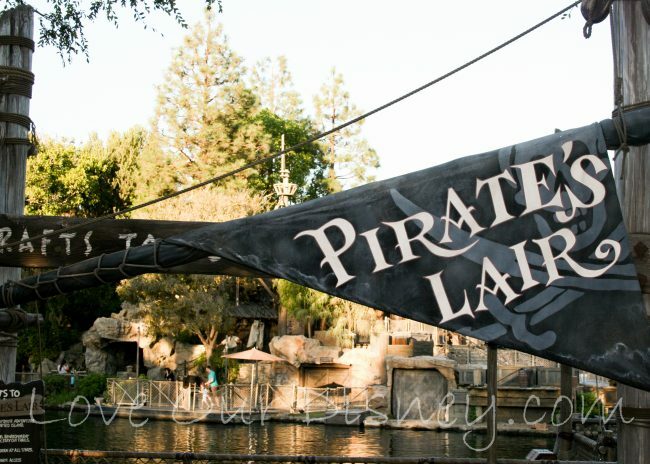 What special events can you enjoy during Spring Break at Disneyland? 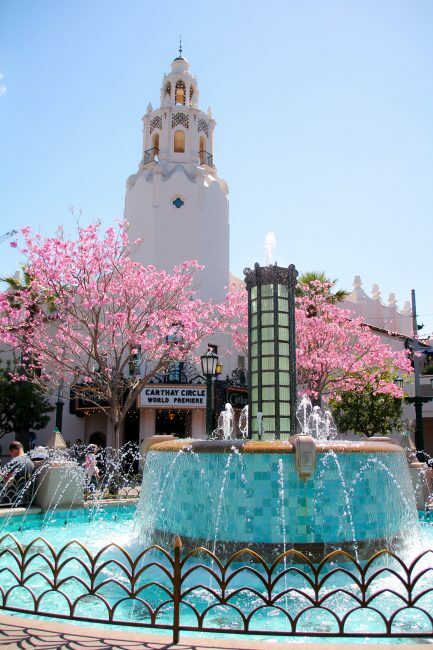 One favorite for Spring Break at Disneyland is the Food and Wine Festival at California Adventure. Here you can sample food and beverages inspired by California and the culture. What are the park hours for spring break? Disneyland’s park hours during spring break may vary. You will usually find they open the parks to all guests around 8-9 am (With Magic Morning or Extra Magic Hour happening the hour before opening). It is worth noting that Disney California Adventure (DCA) appears to be opening an hour AFTER Disneyland on the mornings it hosts Extra Magic Hour. As for closing times, Disneyland tends to close at 11 pm the first week or two, but starting the last week in March, it begins closing at midnight. DCA closes at 9 pm or 10 pm most nights. When you go, also be sure to listen and watch for announcements noting a change in park hours. We have gone a few times during the weeks that were supposed to close at 11pm, only to have them extend the hours to midnight. Downtown Disney is usually open from 7 am -2 am. The great thing is that Disneyland releases all of these park hours 6 weeks in advance. You can check the park hours on the Disneyland App. What can I expect as far as weather at Disneyland during Spring Break? Weather during spring break can be pretty unpredictable. But if you are like me and coming from a state that is still in the 40-50 degree range most days, you can bet most days will feel pretty nice. We have had rain, sunshine, highs of 60’s and highs in the 90s during our spring break visits. Many times all in the same trip. I strongly suggest watching Anaheim’s forcast in the days leading up to your trip. Even if the forecast looks awesome (80’s and sunny all week- YES PLEASE!) be sure to bring a sweatshirt and maybe even some pants. Once that sun goes down, it can get pretty cool real fast. What can I expect as far as ride closures? Normally during Spring Break you will find most rides open. If your spring break is at the mid-March or late April time frame you may still have a few closures as the park preps for Spring break, or (late April) preps for summer. This year though, the Disneyland is prepping for the opening of Star Wars: Galaxy’s Edge. They are doing refurbishments to Sleeping Beauty Castle, attractions throughout the parks and more. To find out what will be closed during your specific dates, visit the Disneyland website. Even though most rides are scheduled to be open, it seems spring break is always full of unexpected closures. 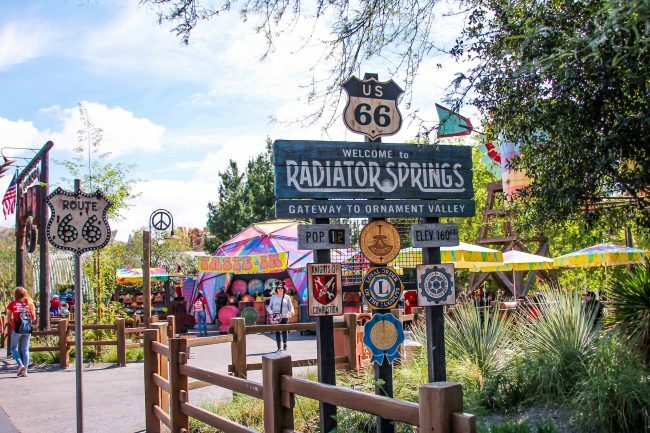 Some people claim it is because it is the first time many rides have operated so heavily since their seasonal maintenance, others claim it is the bipolar weather, but no matter what, Spring Break seems to have several unexpected closures. Some may last for only an hour or two, others a day or more. So if there is something you “have to ride” and it is open on day 1 of your visit, I suggest getting on it. You can also check the customer service Kiosks for current ride closures and reopenings. Scheduled maintenance appears on the daily park schedule for the upcoming 6 weeks. What special events are going on during spring break at Disneyland for Easter? Closer to Easter, Disneyland hosts the Egg-stravaganza, an easter egg hunt type of activity that lets you find hidden eggs. The maps and stickers usually cost under $10 and it is a fun activity. Details for this year have not yet been released, but watch the Disney Parks Blog for more information. I am really hoping they continue this activity this year. 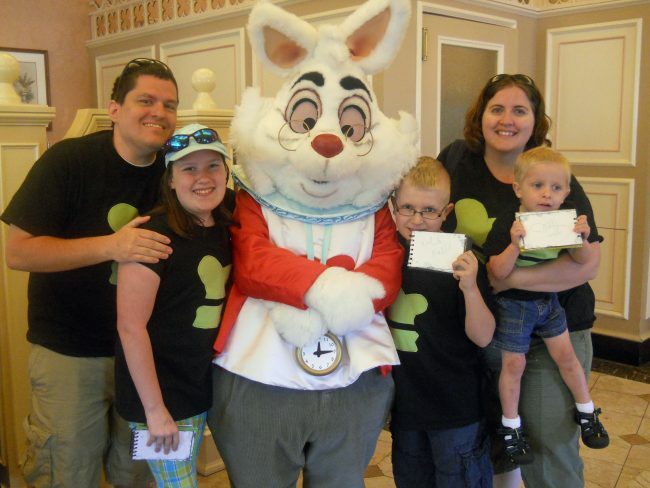 Also around Easter you will see a lot of your favorite Disney rabbits come out to do more meet and greets. This includes the White Rabbit, Roger Rabbit, and more. Can I still book a vacation for spring break at Disneyland? YES!!! There are some great deals out there for Spring Break. Right now Disneyland has a huge ticket sale for these dates (with a blackout of April 14-22, 2019). I suggest using our friends at Get Away Today They can do everything from booking your hotel, to adding on tickets for Universal or LEGOland. 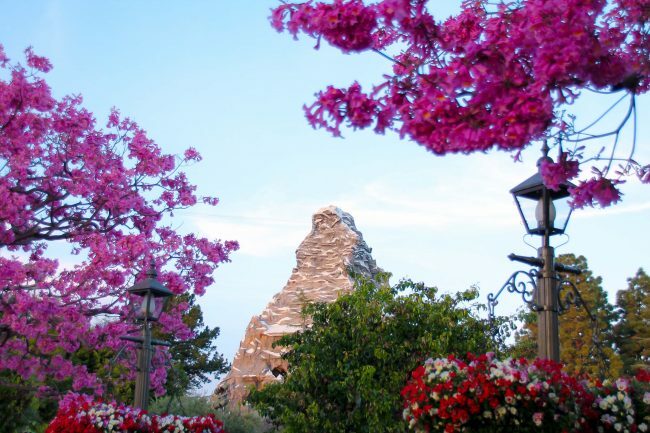 Are you spending your spring break at Disneyland? What are you most looking forward to? When Are Disneyland Crowds Lightest? Hopefully I can get out to Disneyland in 2017. So much has changed in 10 years. I still haven’t made it over to Disneyland yet but this is some great planning information. Thanks for sharing! I would love to do Disneyland over Spring Break! Unfortunately the past few years our Spring Break has been the first week of March and a lot of refurbs are still going on. We are pushing back a week next year so maybe I can swing it! It sounds amazing! There are a lot of refurbs, but the crowds are really low that time of year too. One of those things you have to pick and choose what is most important. I am going to Disneyland for the first time EVER from 4/13 to 4/19. Your article was great and made me feel a bit better but considering I have a 3 day hopper, will we still have a shot at the good rides or will it be INSANE? I have MaxPass and am a veteran of WDW where I have seen massive crowds on times like Memorial Day Weejend! Thanks! You will totally be able to do the good rides (aren’t they all good rides?) with 3 days. Just be sure to get to the parks about 45 minutes before opening and make use of those early hours before it gets too crowded.